Ok, maybe that’s too far. Rich is a strong word. But we’ll certainly help you to save your hard earned cash. Don’t panic – we’re not going to go all serious on you. But we do want to talk to you about your money. That’s why we’ve teamed up with some finance gurus – to get some expert advice. Whether your goal for your financial future is wealth creation, saving, or climbing yourself out of the scary hole that is debt, the more specific you can be with your finance plans, the more likely you are to reach the goals you set. On that note, let us introduce you to 7, nice and specific, financially healthy practices that will set you off on the right track. By knowing where your money is going, you’ll be able to analyse the habits that have led to your current financial position and make changes going forward. It works like any other plan – you need a clear view of where you are, to know where you’re going. Tip: A simple Excel spreadsheet or page in your diary will do. Jot down your outgoing and ingoing expenses and calculate the net at the end of the week. If you’re spending more than you’re earning… you guessed it. Something needs to change! There’s no better day than today to make sure that you are getting the best value from the plans that you are on. Shop for better deals on your fixed expenses like your utilities, insurance, mobile, TV and broadband plans. These days, the online market is flooded with comparison sites and services that are easy-to-use, so make the most of it! Knowing what’s out there will help you to make informed decisions as a consumer, based on your needs and usage. Sign up for store cards that have loyalty programs and educate yourself to understand the rewards offered so that you can use them to your advantage. If you’re tactical and use these services effectively, you really can save hundreds of pounds on daily expenses like groceries and petrol. Tip: Don’t fall into the convenience trap of buying your morning coffee from the nearest store. These days, coffee shops are everywhere. Take a minute to consider whether it might be worth walking the extra few minutes to the next shop that offers greater returns. Many credit cards have schemes where you can earn cash back, travel miles, or points. Exciting, right? Right! Tip: Be mindful of the repayment terms and associated interest rates. Reward credit cards can often have higher interest rates, which land up outweighing their benefits. If you are not always able to pay your credit card in full, prioritize a lower interest rate over alluring reward programs. In other words, work out what’s best for you before you get sucked in. Cash ISAs are a great way to save money. “But what is an ISA?”, we hear you ask. 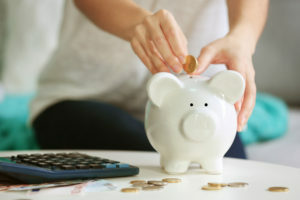 An ISA is an Individual Savings Account – an account where your money can sit and grow, and where you won’t pay tax on the interest received. Tip: For the 2016/17 tax year, you are able to deposit a maximum of £15,240 into your ISA account. Neat. Credit scores aren’t just used for mortgages, credit card and loan purposes. They also affect your ability to qualify for phone contracts, insurance, bank accounts and other services. It’s really important to regularly manage and take steps to boost your credit score. Credit reference files often have errors on them and, sadly, it is your responsibility to identify these and have them corrected. Tip: Get yourself on the electoral role! If you’re not registered, this may adversely affect your credit score. Sounds simple, doesn’t it? But many taxpayers don’t realise they are entitled to claiming a tax refund for washing a work uniform, work-related expenses, union fees, and emergency tax codes. Tip: If you haven’t reclaimed these expenses in the last four tax years, the ship has not sailed – there’s still time. So get on it! You’ll thank us later. Financial wellbeing is a practice that starts with you. Forming healthy habits and taking proactive steps with your finances is the best way to ensure long-term success. Written in collaboration with Tax Returned.